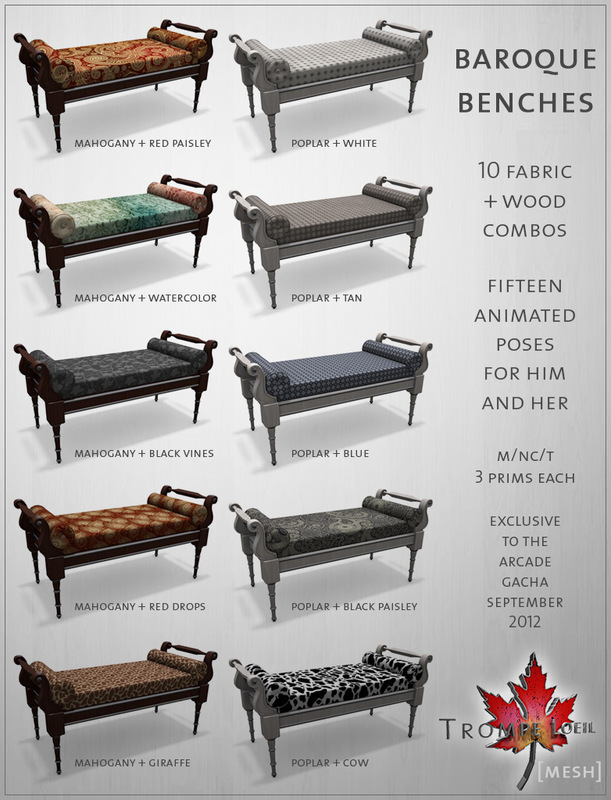 Baroque Benches for The Arcade Gacha – open now! The Arcade is finally open! This fantastic seaside build is host to some amazing creative talent for this quarter’s Gacha, and we are so proud to be a part of it! 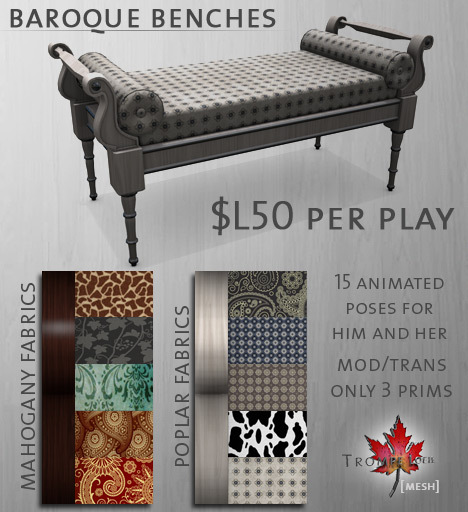 Our Gacha item is our new Baroque Bench – a fun addition for living room, hallway, or bedroom, it features 15 animated sitting poses for him and her and as part of our Gacha variety comes in 10 different combos of poplar or mahogany wood with a wide variety of fabrics, from bold paisley to fun cow and giraffe print! Head over to The Arcade right now and try your luck – play til you get your favorites, or trade with friends – they’re transferrable! Timeless Kitchens in 5 colors and PG/Adult versions for Collabor88 September! Vintage Prefabs (including both Large versions) now available on the Marketplace!